This is one of Mahalo's 2018 "specials", it's part of the new creative series that have come out along with the latest art series and a new designer series. 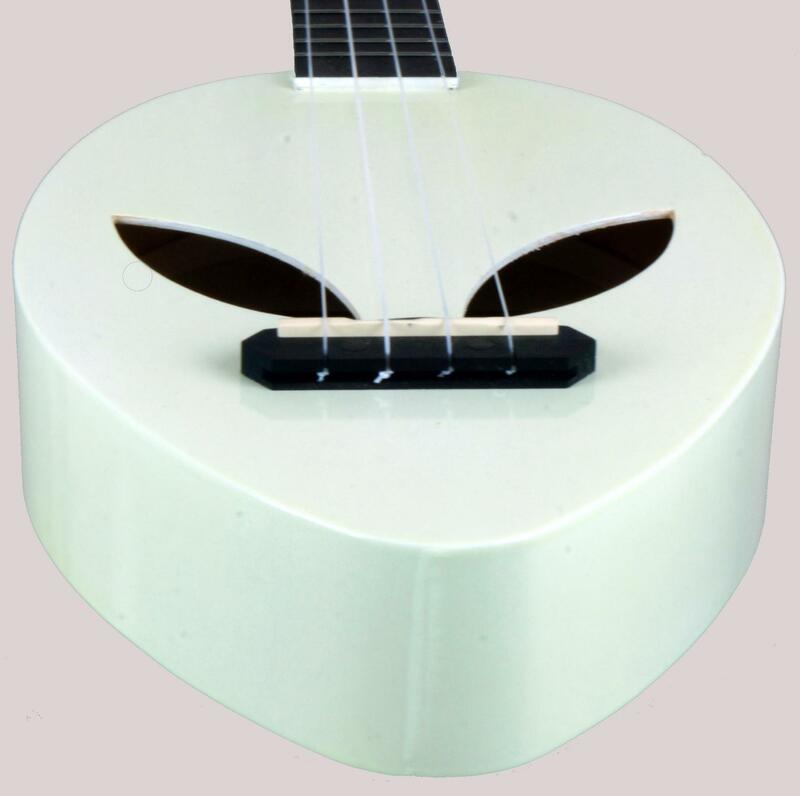 The Alien is the only one of the new models to have a distinctly non traditional body shape, (there is another "skull" one that is a standard Ukulele body shape but put on the wrong way around, so the neck connects to the larger bout ), and though it comes in 4 colours, this is the only one that is fluorescent. I'm looking forward to its arrival so I can get it to glow for me. Now I have it and I will have to leave it under the lights for a bit before I can see it glow. The soundboard glows, the headstock glows even the back and sides glow!